A floral tattoo? A pocket square loaded with chartreuse lichen? For brides looking to amp up the flower power at their weddings, floral accessories are a creative and fresh alternative to the usual. 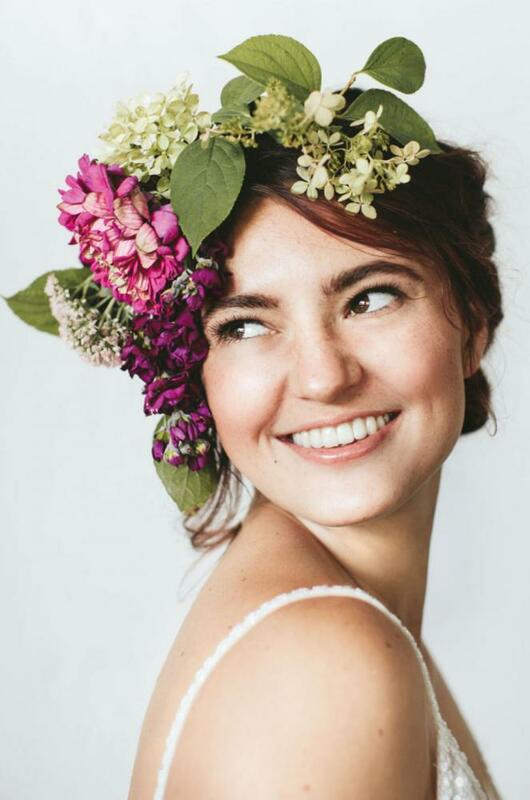 “A bouquet is really just for the ceremony, but you get to wear your floral piece the entire event,” says Marisa Kozak Ringe, owner of Portland-based Revel Petals, who crafted a summery floral hat using fuchsia zinnia, stock and bright green leaves. 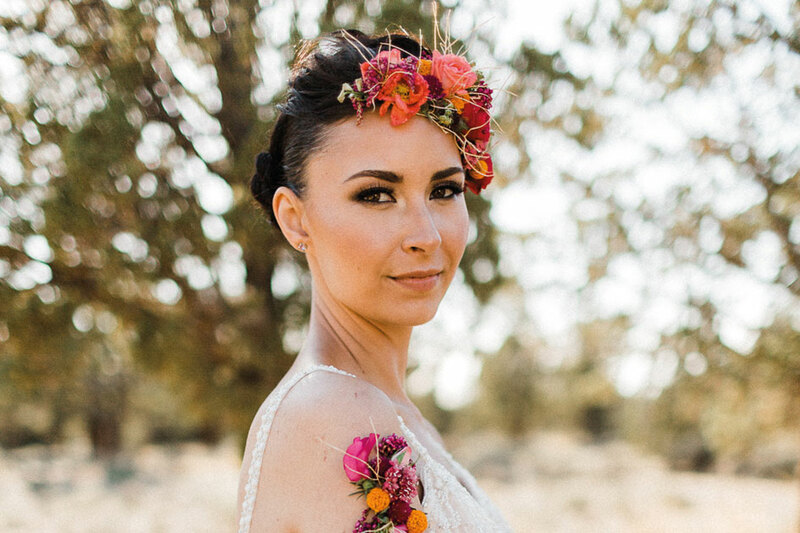 Bend floral designer Summer Robbins-Sutter channeled a wild-child vibe and fashioned a floral tattoo from a delicate mix of craspedia, sweet peas, gomphrena and wisps of tumbleweed. The flowers were adhered to waterproof tape and then applied to the skin. 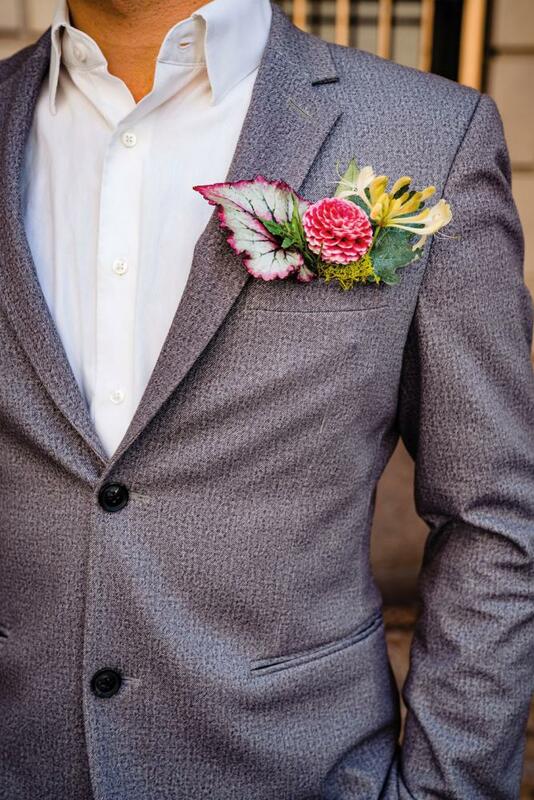 And don’t forget the groom: Portland’s Geranium Lake Flowers created a colorful pocket-square boutonniere using a small piece of card stock measured to fit the groom’s upper pocket. The card was then covered in blooms, including scarlet red ball dahlias, sedum, dusty miller and chartreuse lichen, using florist glue. “Brides love floral accessories because they are the perfect, unexpected, bespoke accessory for their wedding day,” Robbins-Sutter says. “They love how intricate and elegant each of the pieces are and how they add something super luxe to their look.”. With in-motion scenery and Oregon weather changes to contend with, finding the right photo background at an outdoor wedding can be a tall order.